This archive holds all posts from September 2016. Happy Fall to all! Hopefully the summer gave everyone a chance to relax and enjoy some time in the sunshine. Some may have gone abroad to spend time in the countries that speak their source/target languages. Some have taken workshops or webinars to pick up a new skill. Others may have finally mastered that CAT tool they were always talking about or gotten the certification they were hoping to get. The new season brings many new challenges and opportunities. There are several conferences both here and abroad. This issue of the NYCT Gotham includes an article on a translation conference held in Greece and information on an upcoming European Summit. 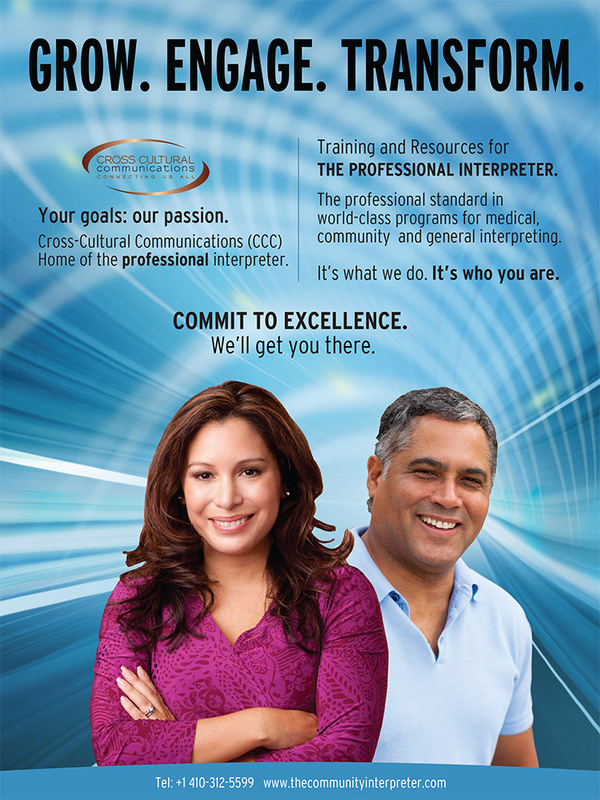 There are more webinars and new courses being offered at educational institutions. Information for these is usually sent out via e-mail from our dedicated administrator. The Gotham welcomes articles or updates on any conference or event attended by our members. We love hearing about our colleagues in other countries and what is happening in our industry on an international level. The NYCT has wonderful monthly meetings lined up and our speed networking session wrapped up at the end of September. Along with the Christmas Party and the Summer Picnic this is becoming one of the yearly “must attend” events for the Circle. May all our members have a productive and enjoyable fall season. Talk to any translator and you’ll encounter strong—often conflicting—views about the importance and value of events. Most of us agree that it’s vital to step outside our bubble and meet people face to face. 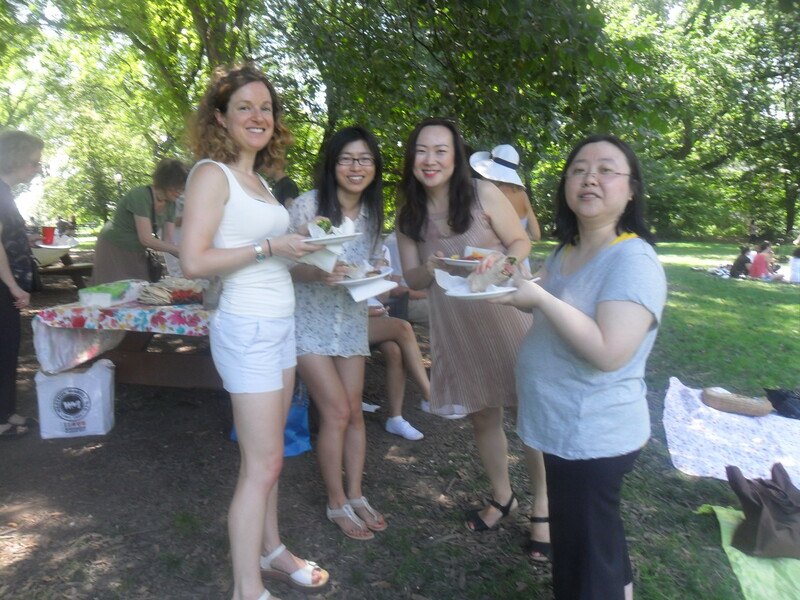 Some prefer events organised by translators, for translators—be it local chapter socials or national association conferences. Others argue that non-billable time is better spent going to industry-specific events to hone our subject expertise and meet potential clients. Both are eminently valuable learning and networking opportunities. But what if there were something that covered all bases—a chance to network with colleagues and get key insights from leading figures in our specialist field? As I discovered this summer, such an event does exist. In early July this year, around 100 translators descended on the Ministry of Finance in Paris for the Université d’été de la traduction financière (UETF, financial translation summer school). The high-level annual event has a long history, having started life as a series of one-day seminars in the 1990s. It is hosted in alternate years by the French and Swiss translators’ associations—SFT and ASTTI. This year’s SFT-run event featured three full days of intensive lectures, presentations and workshops for translators working both ways between French and English. The conference programme was a who’s who of leading lights from the worlds of finance, economics, business and journalism. The intention was clear from the outset—we were there to listen to prominent, respected, knowledgeable people talk about the issues that matter to them in their work. To hear about the latest trends in finance, economics and corporate communications. To learn from experts who are masters of their trade. And, of course, to meet colleagues old and new, to network, and to sample French gastronomy at its finest (more on that later). So densely packed was the programme that it would be impossible to cover everything in this short report. But I’m going to pick out a few personal highlights from the conference. On day one, we were treated to a presentation by eminent Financial Times writer Simon Kuper, entitled “Language, writing and cultural competence”. In his enlightening (and at times, controversial) address, he explained what good writing is, and the strategies and techniques we could employ to become better writers. This is a subject that we, as translators, need to focus on more acutely, and is something that the event’s co-organisers—Chris Durban and Dominique Jonkers—stress time and again in their own work. We also heard the first half of a two-part presentation by respected US-based legal translator Tom West: “Translating legal terms in financial documents—friends false and true”. Tom brought his deep subject knowledge to the table, giving the uninitiated among us (myself included) a clear overview of the common errors that non-specialists make when legal terminology crops up in non-legal texts. The second day was split into two halves. Before lunch, we had a further series of presentations, including an energetic and engaging contribution from Eric Moeller of Copy Dojo, entitled “Fintech—how to write sizzlin’ sales copy”. We then split into separate language tracks for the afternoon, with Dominique Jonkers delivering an English-to-French workshop. On the French-to-English track, we were spoiled for choice—a workshop on translating financial statements with Rosie Wells from Swiss bank Banque Cantonale Vaudoise, or a hands-on copywriting session with Eric Moeller. I opted for the latter and, some technical issues with the in-room equipment aside, I was not disappointed, coming away with practical tips to make my marketing translations sparkle. Perhaps the most enriching part of the whole event—from a translator’s point of view—came on the final day. The organisers had asked two contributors to give almost exactly the same presentation before and after our mid-morning break. And no, it wasn’t a scheduling error. As it turned out, it was a stroke of genius. First up was Grace Perez-Navarro from OECD, who talked about base erosion and profit shifting (BEPS) and how her organisation was working with authorities to stamp out corporate tax avoidance strategies and loopholes. Then came Edouard Marcus from the Ministry of Finance, who covered almost exactly the same ground, only this time in French. As I looked around the room, I could see dozens of colleagues frantically scribbling down terminology. I was no exception, coming away with a three-page glossary of terms straight from the horse’s mouth. The day concluded with a question-and-answer session with Alain Repaux, head of the Ministry of Finance’s translation centre, who explained how his department works and what he and his team expect from their external suppliers. Of course, no event would be complete without the obligatory conference dinner. And what a treat we had in store on the Thursday night—a short metro ride over to the Musée du Vin for a meal and wine-tasting in the museum’s 15th-century vaulted cellars, just a stone’s throw from the Eiffel Tower. We were treated to a sumptuous three-course meal, an impassioned presentation of the museum and its wines from the master sommelier, and a thoroughly enjoyable tasting quiz. The underground venue also offered some welcome relief from the sweltering summer heat outside. Getting back to our hotels from the dinner proved a little tricky, with much of Paris’ transport network shut down as France faced off against Germany in the semi-final of the UEFA Euro 2016 football tournament. But a stunning French victory meant that spirits were high on the city’s streets that night. The event heads back to the picturesque Swiss town of Spiez for 2017. As is tradition, the ASTTI version will feature French, English, German and Italian tracks. It’s an absolute must for anyone who takes their craft seriously—an intensive, fully immersive learning and networking experience. Personally, I came away with renewed enthusiasm, detailed glossaries, valuable insights, a stack of business cards, plenty of new friends and acquaintances—and a new favourite French red. It was my very first UETF event. It definitely won’t be my last. 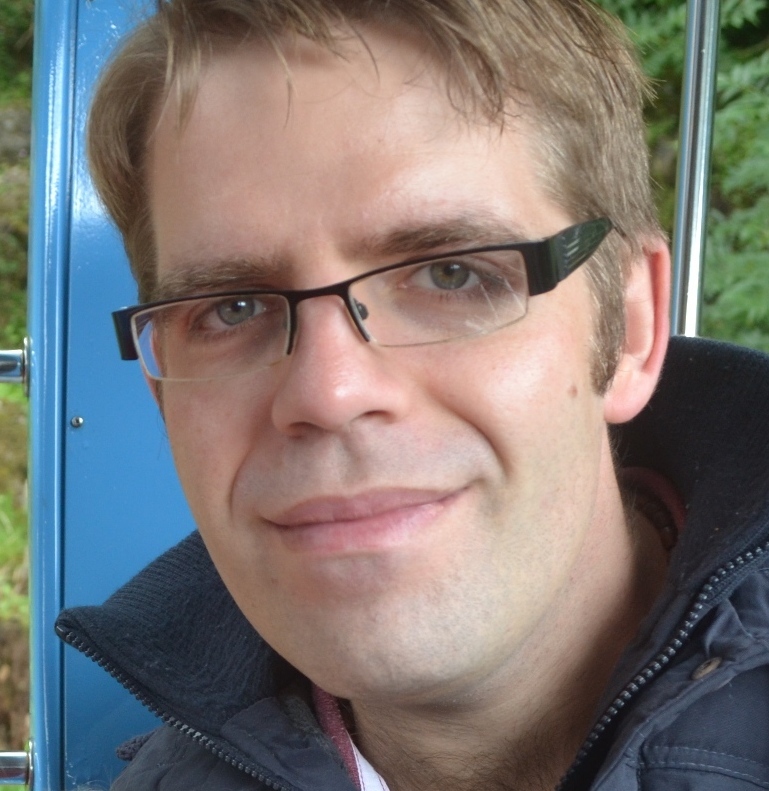 Martin Hemmings is a freelance French-to-English translator based in Manchester, England. He has a B.A. in Modern Languages from the University of Oxford and an M.A. in Translation Studies from the University of Salford, and is a qualified member of the Institute of Translation and Interpreting (ITI). He specialises in international development and corporate/government communications, and also translates marketing materials for clients in the tourism, events and sport industries. • Over 45 events on trans¬lators and foreign writers … only took one month to prepare!! This year’s country of honour was Russia. The Fair also included a theme exhibition called “Refugees, Then and Now”, the Third Young Writers Festival, a Children’s Corner hosting interactive events for the young, and the Foreign Writers and Translation Festival. The first Translation Festival in the histo¬ry of the Fair was made possible by the expertise of the Hellenic Foundation for Culture. But what actually made this idea come to life was the joint effort of Greek associations of translators and interpret¬ers, namely PEEMPIP, PAT and SYDISE, together with Greek universities offering translation studies at graduate and post¬graduate level: the Department of Foreign Languages, Translation and Interpreting of the Ionian University in Corfu, the Aristotle University of Thessaloniki, and the National and Kapodistrian University of Athens, under the auspices of the Hellenic Society of Translation Studies. All the above bodies and agen¬cies succeeded in presenting a total of 22 seminal events on literary translation, subtitling, theatre translation, and much more. PEEMPIP proudly spon¬sored eight of those events. The idea was to give its members the opportunity to share tales of experience and best prac¬tices and invite distinguished translators and eminent univer¬sity professors from Greece and abroad to present their work. Translation students from the Aristotle University of Thessaloniki also had an opportunity to conduct interviews with more than 30 translators, exploring their journey through the world of translation. Athena Psilia and Panagiota Mavridou presented their collaborative method of translating Gonzalo M. Tavares’ “O Bairro”, from Portuguese into Greek. 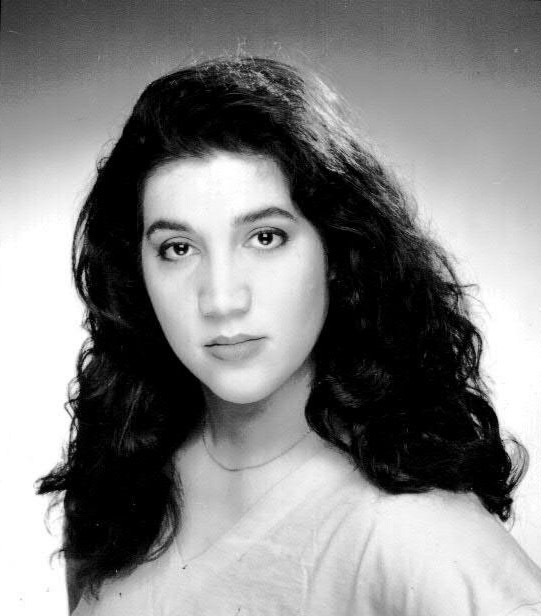 Maria Tsoutsoura, poet and PhD in Comparative Literature together with Stéphane Sawas, from Inalco, the Paris school of oriental studies, presented the bilingual (Greek and French) edition of Maria Tsoutsoura’s collection of poems “Το μεγάλο ταξίδι / Le grand voyage”, published by Presses Sorbonne Nouvelle. Litsa Hadgopoulos, who has a doctorate in Modern Greek Literature, introduced us to the one-of-a-kind anthology of Greek short stories “Le conseil de la cloche et autres nou¬velles grecques” (Paris École Normale Supérieure publishing house), compiled and magnificently translated into French by award-winning translator Stéphane Sawas. Violetta Tsitsiliani (PEEMPIP), cu¬rator of “The Translation Project”, and Kleopatra Elaiotriviari (PEEMPIP) had the pleasure of discussing issues of literary translation and cultural management with a charismatic guest from the Fair: Daniel Hahn (UK), writer, editor, transla¬tor and captivating speaker. Marianna Tsatsou (PEEMPIP), along with her two editors and the DTP expert, presented the complete process (from translation and editing all the way to printing) involved in creating the Greek version of the book Albert Einstein / Mileva Marić: The Love Letters. Subtitlers Lena Gogou (PEEMPIP), Penny Karagiannidi (PEEMPIP) and Nancy Papaioannou explained the intricacies of turning literary text into subtitles for a TV series. Last but definitely not least, come our workshops: Dimitra Stafilia (PEEMPIP) and Ntina Tyrovola (PEEMPIP) ran an absorbing workshop on transcreation; while Natasa Kipraki (PEEMPIP), togeth¬er with Kleopatra Elaiotriviari, hosted a workshop on collabo¬rative Spanish-into-Greek literary translation. The verdict is out: Our first Translation Festival was an unqualified success! It inspired interesting talks and coopera¬tion between language specialists in all fields, giving translation students the chance to test their skills, as well as to meet and talk with future colleagues. We hope that the Translation Festival will become an integral part of the Fair in the future. We imagine it as a vast forum, a translation platform where more and more translators will get to talk about their work every year in Thessaloniki, raising awareness of our profession within the global community and forg¬ing a stronger network between trans¬lation professionals that will sustain and nurture them. 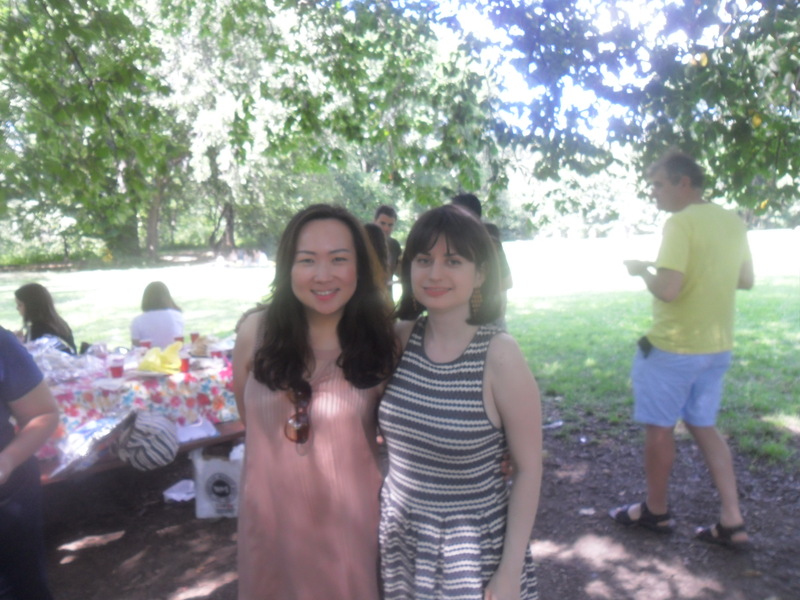 In August the NYCT held it’s Annual Summer Picnic. We were back at our old spot in the park. Depending on who you ask, summer is either really hectic or really slow. 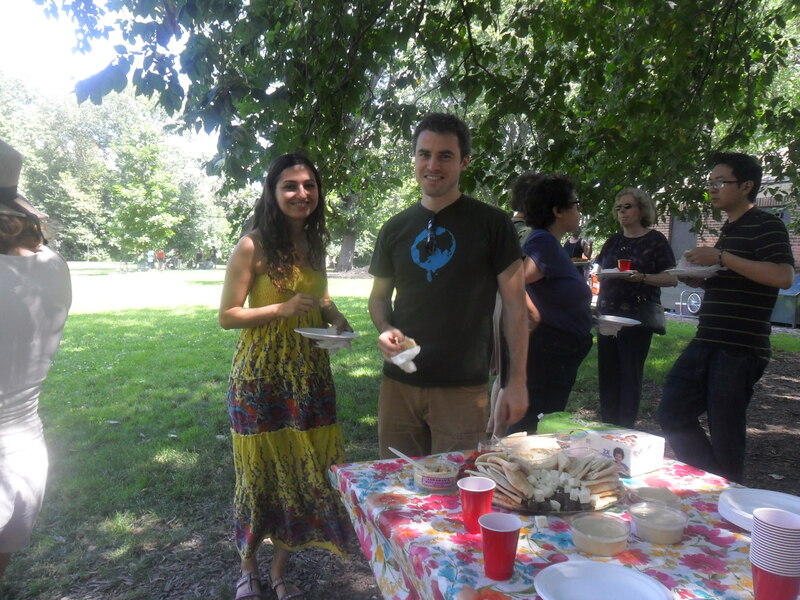 Please consider joining your fellow NYCT members for next year’s picnic. It’s always in August although the dates vary. For more pictures please check out the Facebook page and join in the conversation. EAFT, the European Association for Terminology, in collaboration with TermCoord, is organizing the Eighth European Terminology Summit in Luxembourg on 14–15 November 2016. Registration is open until the end of October. 2016 is the year of both the 20th anniversary of the EAFT as well as a Summit year. The main theme of the event, Visions and revisions, allows us to look back on the 20 years of the EAFT’s tireless work on terminology – as well as to look forward, talking about the future of terminology and its goals still to be reached. Given that the Summit is also an anniversary and celebration, but also evaluation of twenty years’ worth of terminology, its structure will reflect its multifaceted character. Therefore, the Summit will be composed around 8 sections which summarize the themes of the earlier Summits (Cooperation & Collaboration, Social Media, Quality Matters, Responsibility, Interaction and Diversity, Terminology Profile, State Of The Art/Domain Loss, Declaration). Each section, as per the main theme, will contain at least a revision (evaluation of the past achievements as well as pitfalls) and a vision (an idea, a hope, a plan, a goal) related to the theme of the section. Certain areas, such as terminology training, terminology research, terminology standardization, terminology management, or terminology tools, shall not be given a separate section, but rather – given their horizontal character – shall be present in several sections. The registration deadline is 31st of October 2016. The registration can be completed by filling in a FORM. When you have filled it correctly, you will be asked to send the proof of payment to administracio@termcat.cat. Once the submitted data have been verified, you will receive a confirmation e-mail. For the information on registration fees, payment details, hotels in Luxembourg, and social events accompanying the Summit, visit the EAFT 2016 Summit page on our website. You can also read about the last EAFT Summit in Barcelona. The arrival of spring not only herald¬ed the return of warmer weather in North America; FIT members were also involved in a number of events. In early May, FIT North America was glad to lend its support to other American stakeholders who were lobbying the U.S. Congress in favour of an extension of a Special Visa Programme for Afghan translators and interpreters wishing to immigrate to the United States. As we all know, for the mere “crime” of having risked their lives in order to facilitate communications between human be¬ings, these people and their families must live on a daily basis under the threat of all kinds of reprisals. Earlier, in March, FIT North America was delighted to learn that the FIT Council had decided to hold its next meet¬ing in Canada. The year 2017 will mark the 150th anniversary of the Canadian Confederation, and numerous cele¬brations will be taking place across the country. At the same time, 2017 will be the 375th anniversary of the founding of the City of Montreal, as well as the 25th anniversary of the accession of OTTIAQ (Ordre des traducteurs, terminologues et interprètes agréés du Québec) to profes¬sional order status in Québec. We are all therefore grateful that the FIT Council has chosen to take this opportunity to be present on this occasion. From 13 to 16 May, David Rumsey, President of the American Translators Association (ATA), attended the annual conference of the National Association of Judiciary Interpreters and Translators (NAJIT) in San Antonio, Texas, an event which he found “excellent”. The ATA will be holding its 57th Annual Conference from 2 to 5 November at the Hyatt Regency Hotel in San Francisco. For more information, please see http:// www.atanet.org/conf/2016/. At a ceremony on 26 May, some thirty newly certified OTTIAQ members were presented with their professional license by the Order’s President, Réal Paquette. The official proceedings were followed by an evening of lively conversation be¬tween new colleagues, to the sound of soft music from a pianist. OTTIAQ will also be having its Annual Conference this fall, on 18 and 19 November in Montreal. Additional information can be found at http://ottiaq.org/en/.